Maybe we'll find out soon when World of Warcraft: Cataclysm, Blizzard's third paid expansion to World of Warcraft will be released — this year? But at least today we can show you the special edition you can buy of it. · Exclusive in-game pet: he may not be a breaker of worlds just yet, but Lil' Deathwing will still proudly accompany heroes on their struggle to save Azeroth from his much, much larger counterpart. · World of Warcraft Trading Card Game cards, including a 60-card starter deck from the Wrathgate series, two extended-art cards, and two Collector's Edition-exclusive hero cards, marking the first appearance of goblin and worgen heroes in the TCG. There you are. It'll cost $79.99 and run on Windows XP, Vista, Windows 7 and Mac. 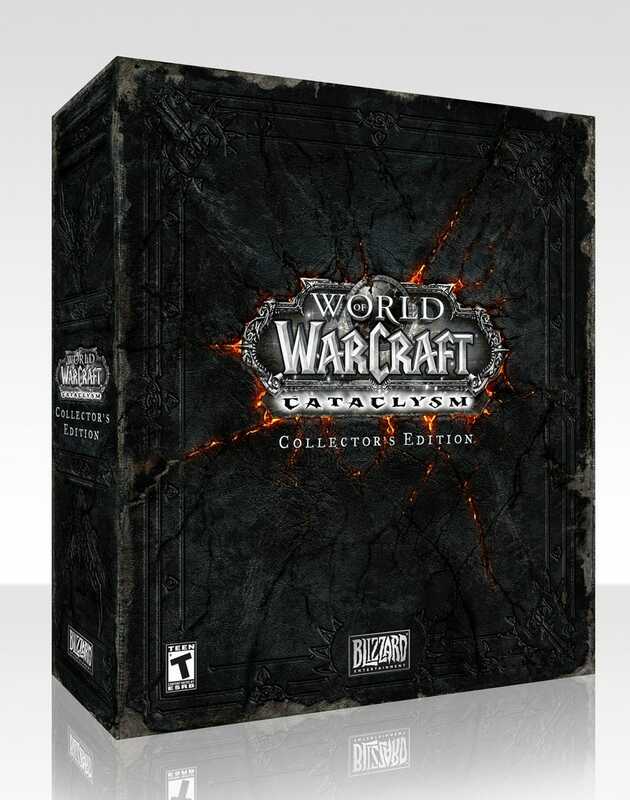 The World of Warcraft: Cataclysm Collector's Edition will be available on DVD-ROM for Windows® XP/Windows Vista®/Windows 7 and Macintosh® at a suggested retail price of $79.99. What more is there to know? What do you want, a release date?